A damaged home due to a fire doesn’t have to be a headache to have cleaned. 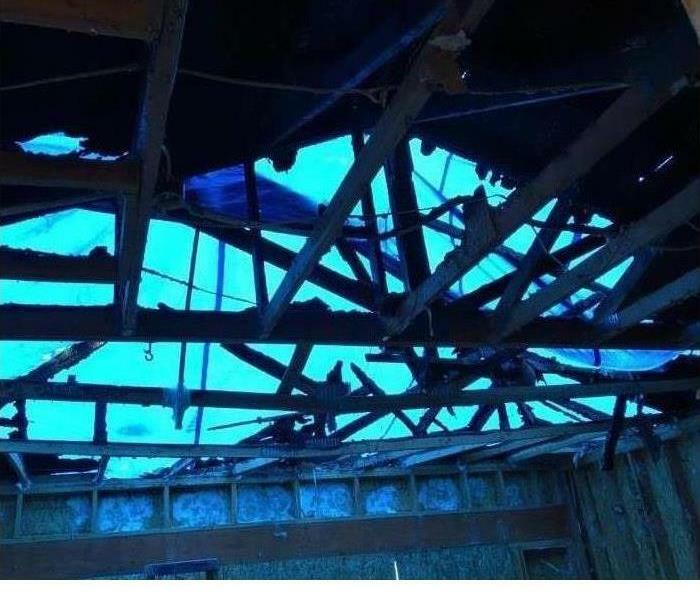 Depending on the size of the damage it could be a very quick cleanup job. Burned food or a grease fire is a common cleanup job for SERVPRO of South Jordan / North Draper. However, there are more devastating fires that take a lot more time and manpower to have cleaned and restored. Experience and a General Contractor license is incredibly important to take into consideration for fire cleanup. We have over 15 years of experience and have had a General Contractors License for even longer. Give us a call if your home needs to be cleaned after a fire. Why Choose SERVPRO of South Jordan / North Draper? When your South Jordan home or business experiences fire or smoke damage, you need professional help quickly. SERVPRO of South Jordan / North Draper is dedicated to responding immediately, which helps to prevent secondary damage and to reduce the cost of restoration. SERVPRO of South Jordan / North Draper is locally owned and operated, so we are part of this community too. When you have a smoke or fire damage emergency, we’re already nearby and ready to help. We take pride in being a part of the South Jordan community and want to do our part in making it the best it can be. SERVPRO of South Jordan / North Draper using the right equipment to cleanup fire damages. 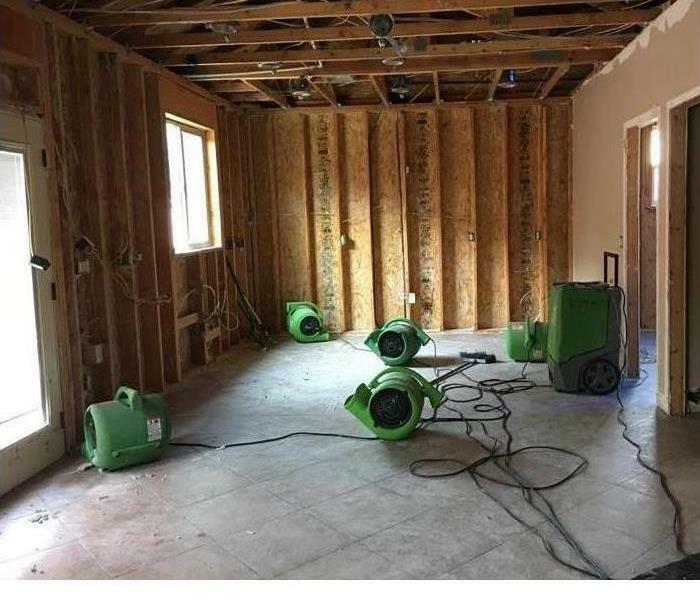 Why are there air movers and dehumidifiers on a fire damaged home?